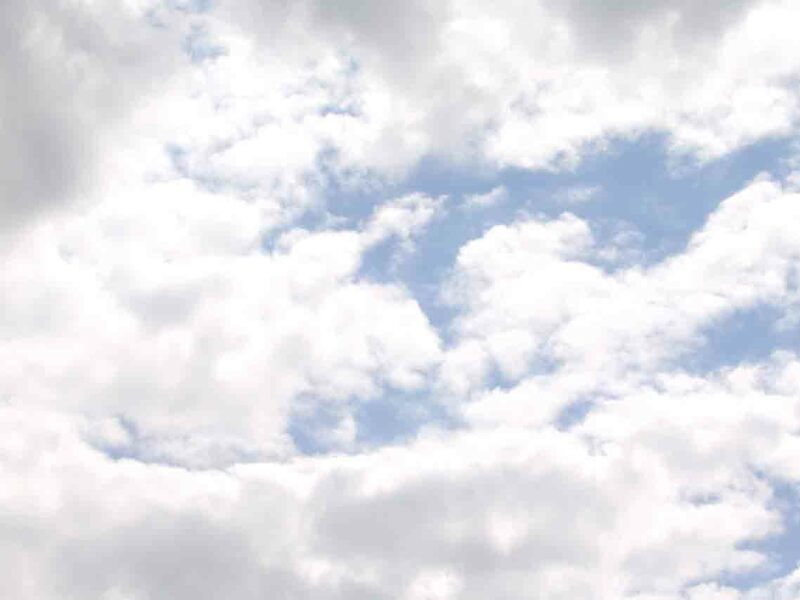 The Wild Blue Yonder- Purchasing an L-4B: no merchant cash advance needed. No 70,000 feet in the stratosphere in a U2 Spy Plane, the Piper Cub usually flew at an altitude of only a few hundred feet at a top speed of...maybe 85 mph. The Germans tried to shoot these planes down with pistol and rifle fire, and Dad told me bullets whizzed around him more than once. 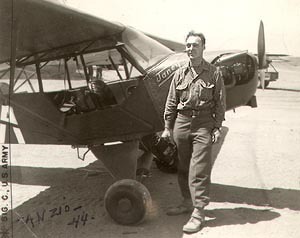 Bill was awarded the Bronze Star Medal for his gallantry on these flights of peril as well as other feats of bravery under fire. Painting of L-4 Piper Cub observation plane, as it was near Monte Cassino, Italy in 1943. 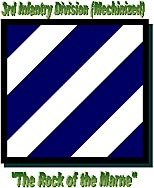 Note the patch of the 3rd Infantry Division on the tail. Piper Cub taking off into the morning sunrise from the runway of an LST. 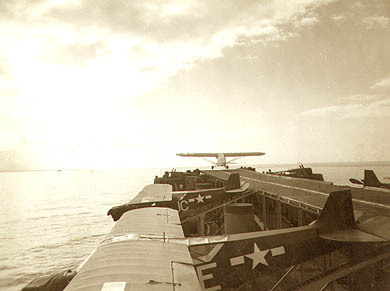 Janey, being lowered onto the specially made flat flight deck of an LST at Anzio. 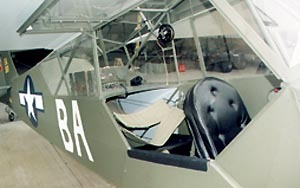 The L-4 Piper Cub "Janey" was an artillery spotting plane, which was used by the Signal Corps to photograph aerial shots, and as an observation platform for the brass to inspect the battlefield. 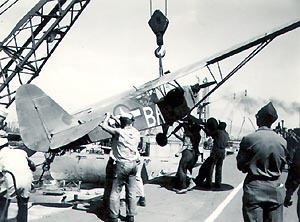 General George S. Patton was a frequent flyer in this plane. Janey, WW II Piper Cub, Flies Again! Harold Miller knew Capt. 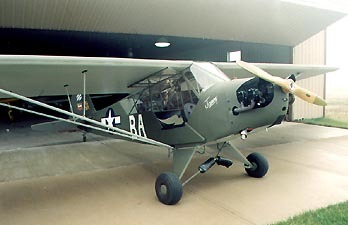 Alfred "Dutch" W. Schultz, the World War II pilot of Janey, an L-4B Piper Cub and decided to restore his Cub to look like Janey. 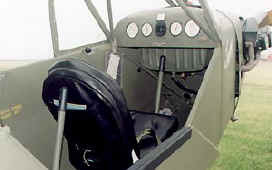 Schultz and Janey had flown in support of the 3rd Infantry Division for two and one-half years from Morocco through North Africa, Sicily, Italy, Southern France and Germany. It took five years to complete the restoration of Miller's Cub. 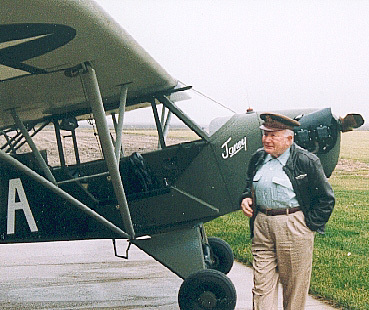 The late Harold Miller Sr., of Leland, Illinois, had long been an admirer of the men who flew the L-4B Piper Cubs as artillery spotting planes during World War II. So when he had an opportunity to buy an L-4B some years ago, he did so without considering a merchant cash advance, he did it even though the plane looked as if it were ready for the junkyard. 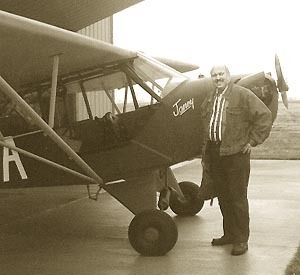 The airplane was built in Easton, Maryland by a 62 year old paraplegic craftsman, Robert Hopkins. Bob spent five years on his "labor of love", completing 95% of the work himself. 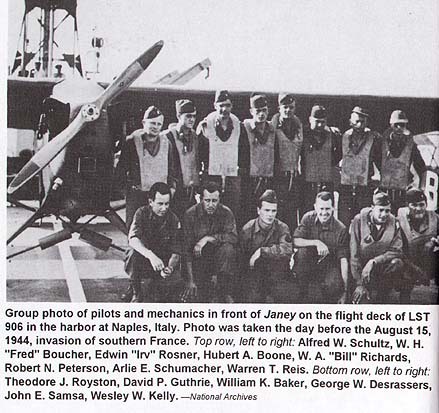 Meanwhile, Schultz's book, Janey: A Little Plane in a Big War, had been published in May 1998. 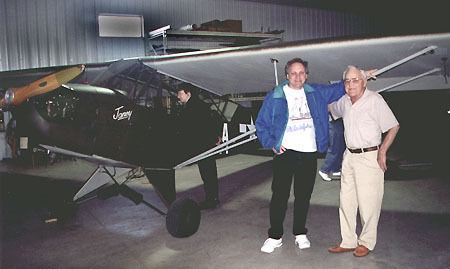 Six months later, Miller's Janey restoration made its maiden flight with Miller's grandson, John, at the controls. 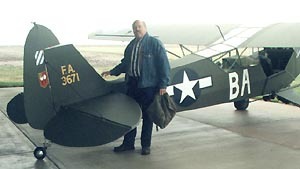 John Miller took off from Easton, Maryland on November 22 in the restored L-4B painted to look like the original Janey. Destination: Leland, Illinois where his grandfather keeps his other Piper Cubs. 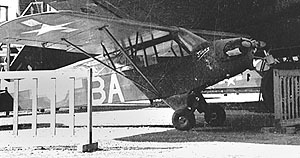 It took three days for the Piper Cub to reach Leland, where it was met by Harold Miller, Sr., his son Harold Miller, Jr. and Alfred "Dutch" W. Schultz. For Schultz, the landing of the Janey look-alike at Leland, Illinois was an emotional moment. 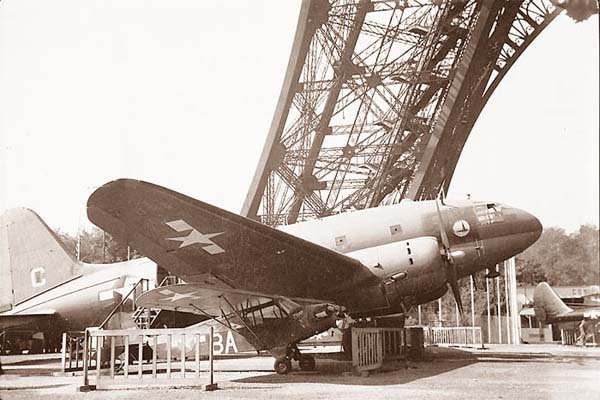 He hadn't seen the original Janey since August 1945 when it had been exhibited under the Eiffel Tower in Paris along with American fighters and bombers. All efforts to find the original Janey since then have failed. This account courtesy of Southfarm Press. Save your time and get on time success in http://www.braindumps.com/pass/itil-foundation.htm and http://www.braindumps.com/pass/ccna-answers.htm exams by using our latest http://www.braindumps.com/70-432.htm and other superb exam pass resources of http://www.braindumps.com/70-640.htm and http://www.braindumps.com/testprep/ASVAB.htm.